The reality of life is you're not going to wake up everyday inspired or motivated. But you can still live everyday with a sense of purpose. There has to be a why you are doing what you're doing. It's time you re-evaluate your life and the direction that it's going. You have to figure out what your purpose is in life. I didn't really have purpose in my life until I was 32 years old. I'm 35 years old now so just imagine if I would have figured out my purpose in my 20s how far along I would be in my life. But, I can't reflect on my past, I can only focus on right now and living in the moment. The way I think about it is, I had to go through experiences and learn a lot before I figured out what my purpose in life is. I've been writing since I was 13 years old in a small studio apartment in the suburbs and now here I am in my mid-30s knowing that my books can and will impact many people. The only reason why I give you a brief story of my life, it's to give you that drive to think about what you're supposed to be doing with your life. There's no easy roads to figuring this out and sometimes you may have to do different things to know what you love and what your passion is. Living a life of monotony is not going to do much justice for you and if you're stuck in a rut, you have to work on getting out of it. What you put into your life and your goals is what you'll get back (and it won't always be right away). 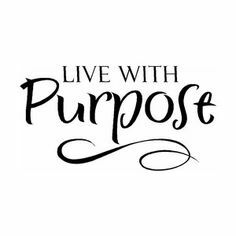 It took me years to start living a life with purpose, don't let that be you. My books are available on the website and my podcast The Aquarianmind Podcast is available for listening. It's definitely worth listening to my podcast and seeing the books I've written!